This site is using cookies to record anonymous visitor statistics and enhance your user experience. 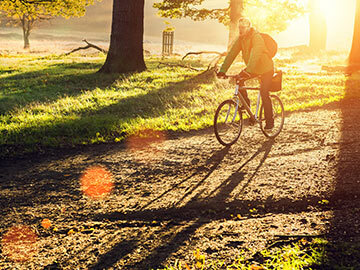 You can now view the photo competition winners! 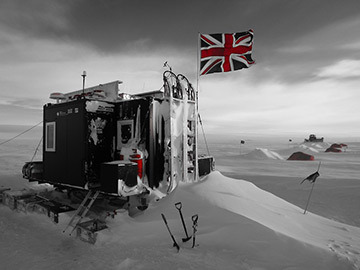 This 17-19 November, meet the people on a daily quest to answer the biggest questions on Earth. How do we look after our coastlines? 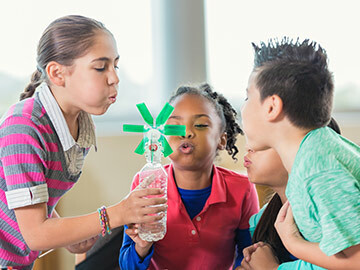 Can we make the air we breathe better for us? 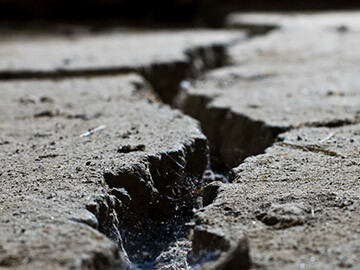 Can we make natural disasters less disastrous? 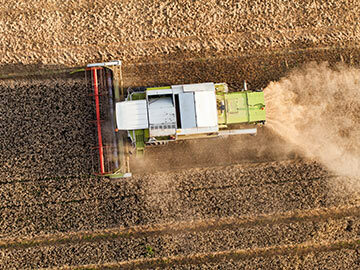 What can we do to get more food out of the same soil? 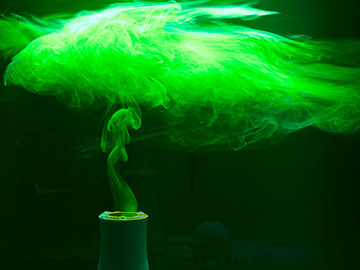 How can we generate energy for the future? We are the Natural Environment Research Council. We fund the science tackling these questions and more. The answers inform the choices we make as individuals, as governments and all the way up to the UN. 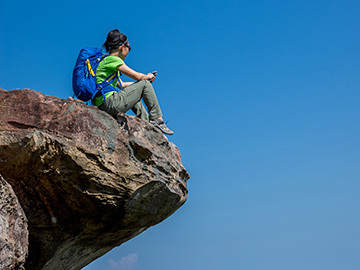 Environmental science isn't just about the planet. It's about your world. Please note last entry will be at 4:00pm each day. However, this may be earlier due to demand and limited capacity each day. 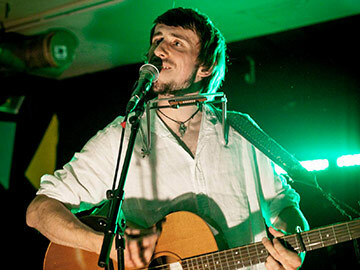 The UnEarthed showcase will be at Dynamic Earth in Edinburgh. Visit their website for more details on taking public transport, parking, walking and cycling to the venue - external link. 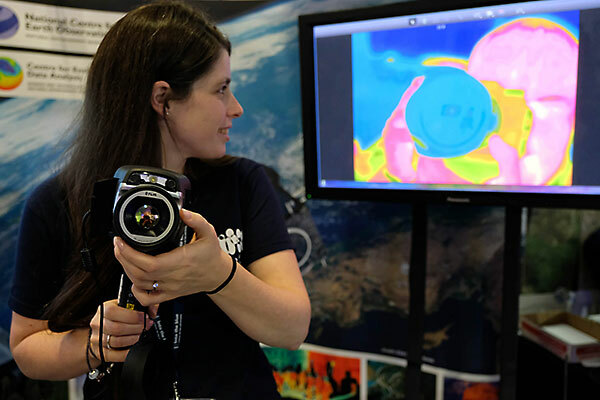 NERC funds people to answer the biggest questions on Earth and over 100 of our scientists are ready to show you how they do it. There are tonnes of activities going on and it's totally free, so come to UnEarthed at Dynamic Earth this 17-19 November and explore the world at your feet! Using our amazing sandpit, create different versions of the future with rising seas, floods or no safe water to drink and see the secret world of groundwater move beneath our feet. 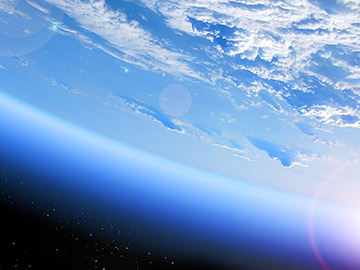 Can you protect the planet and get enough energy for the future? 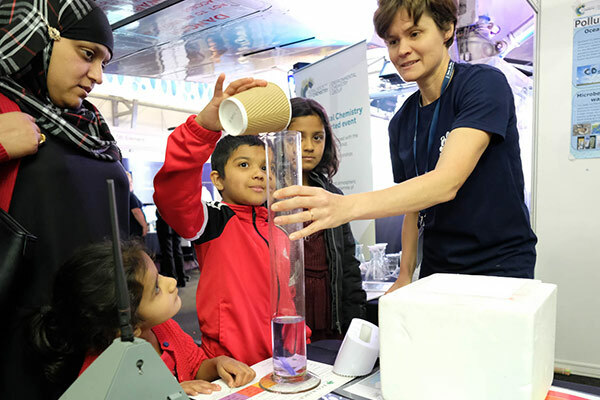 Build a wind turbine, plan a tidal energy generator and see how flooded mines might heat your home. Go on a journey around the Earth's global jigsaw of tectonic plates and find out what they have to do with earthquakes and volcanoes. One crime. Three suspects. 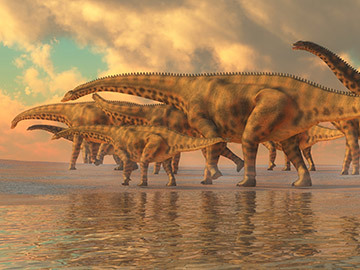 Unravel a dinosaur smuggling investigation with evidence from around Scotland. Eliminate suspects and get to the truth! Come and train as a deer detective. 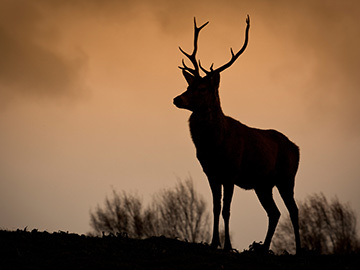 Scotland has more red deer than anywhere else in Europe, but they've got problems. Use your new deer knowledge and decide what to do. Try on our invisibility cloak, see how satellites take the Earth's temperature and find out what you can do to protect the planet. Our forests are under threat from a growing number of pests and diseases. Meet some of the culprits responsible for tree health problems and pit your wits against them in a strategy simulation game. Your lunch is full of things from the tropics. Bananas, chocolate, even bread and biscuits! 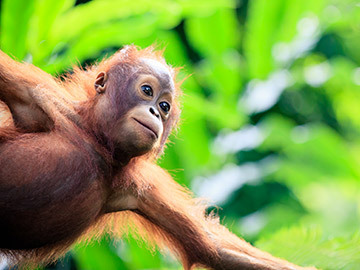 Use your shopping list to protect orangutans, people's livelihoods... and your lunch! 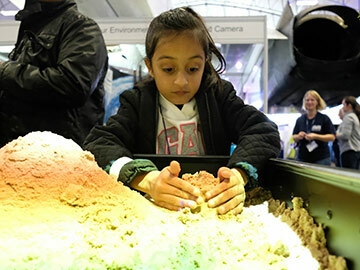 Shape the hills in our special sandbox hooked up to cameras and make it virtually 'rain' over your landscape to see if it floods. Make glaciers move and go back in time to when a volcano made Arthur's Seat. See if you can take control of the tides with our wave tanks. See how storms and waves hit our Lego™ village and how saltmarshes can save the day. Listen to the ocean in 3D and play with waves in this artistic take on the science of the oceans. 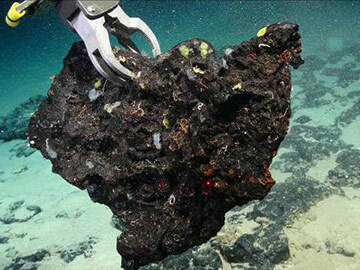 Could mineral rich rocks in the deep ocean hold the key to finding new reserves of vital resources? See and touch the rocks, learn about the robots helping to investigate, and about the impact deep sea mining might have on the local ecosystems. Come and try out our flooding computer game and virtual reality headsets to control the water, escape a flash flood and save a city from rising sea levels. Ever seen an invasive species? Come see what's lurking in our tanks! Be a scientist for the day and see if you can spot all the killer shrimp? 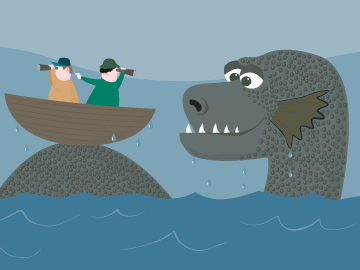 What's lurking in the lochs? Do some DNA testing in our mock loch and see if you can find the Loch Ness Monster! See Antarctica stripped of all its ice and meet people who've lived and worked at the end of the Earth. Air pollution is bad but we often can't see it. Meet the scientists who see the unseen, look into the future and how you can help. 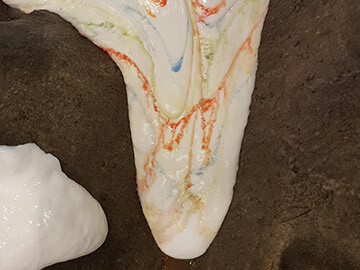 Use science to make an air pollution rainbow butterfly to take home. Take a look at these tanks full of creatures from our lochs and search through samples to find insect larvae, leeches and snails. Come face to face with an eel, meet our fish-spotting robot and see how healthy your favourite loch is. 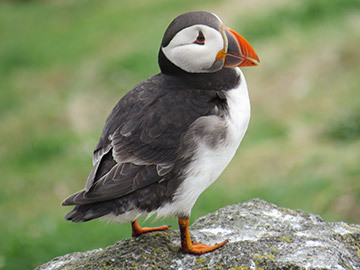 Investigate nesting burrows to find a puffin looking after its egg and use a telescope to read seabird rings to find out which birds have survived the winter. Make puffin masks to take home. 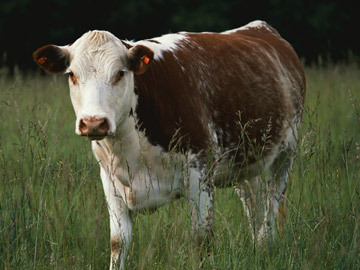 Did you know that cows burp a powerful greenhouse gas? And that some humans do too? Take our breath test to find out if you have an inner cow! What does it mean when people pollute water, land and the air? 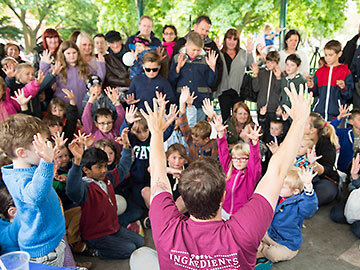 Come find out about the crazy chemistry at play and try your hand at testing soil, air and water. 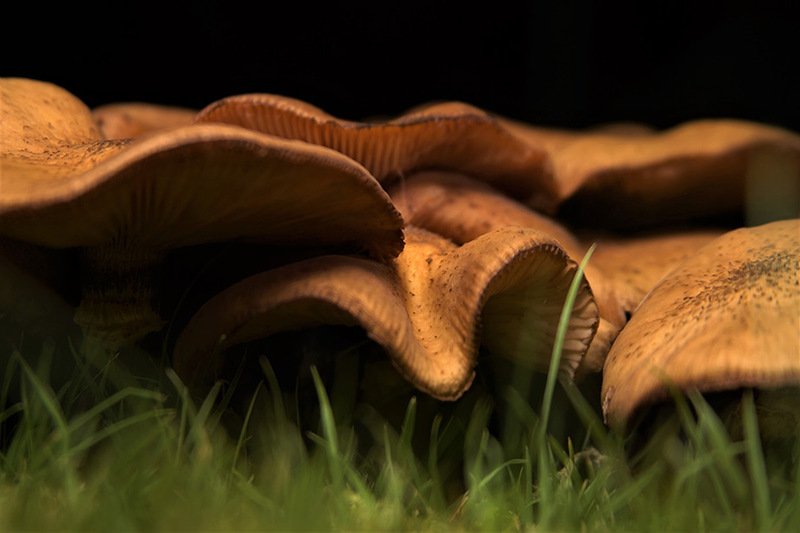 Uncover the wonders of woodlands and discover hidden creatures. 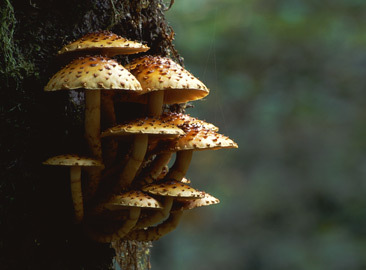 Find out why trees love fungi and how forests can slow down climate change. We can't continue to treat our soil like dirt. It gives us our food, clean water and protects us from the effects of climate change. Come and find out how and what water pistols and hydrangeas have in common! Did you know that weather forecasting is so complicated it needs some of the biggest supercomputers on Earth? 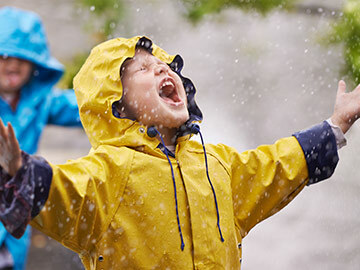 Have a go at predicting tomorrow's weather! Join the thousands of people who've been helping to save the data from the Victorian Weathermen of Ben Nevis - and come see what we've done with it! How are Scotland's coasts changing? 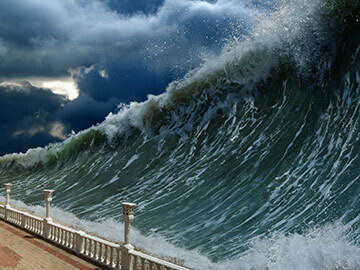 Could we be hit by a tsunami? 8,000 years ago, a giant tsunami hit the coast of Scotland. Become a geo-detective and work out if there might be another one! Play with your favourite bit of coastline on our amazing simulation to see what it might look like in the future. Preview this national show coming soon to a science centre near you! 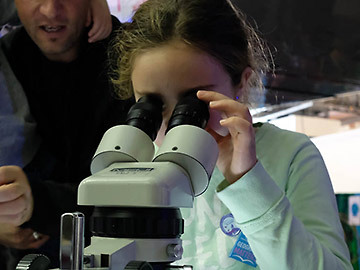 Glimpse a tiny world using digital microscopes to investigate pollen, plastic microfibers and plants up close, and find out what happens to seashells as our oceans change. 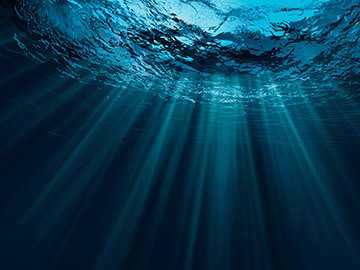 How do you see the bottom of the sea? Or the rocks beneath our feet? Look out for our enormous orange drill and the 'White Ribbon' boat outside Dynamic Earth and spot two of our underwater robots. What is the secret geological message behind We Will Rock You? Listen to Ezekiel explore this important scientific question and more with light-hearted music about serious science. Street entertainment using creative and awe-inspiring demonstrations with plenty of audience participation and lots to see, touch and do. We are pleased to announce the winning entries for our photo competition! The Picture It: Your Environment photo competition gave budding photographers an opportunity to get creative and explore how they interacted with or were inspired by the environment. 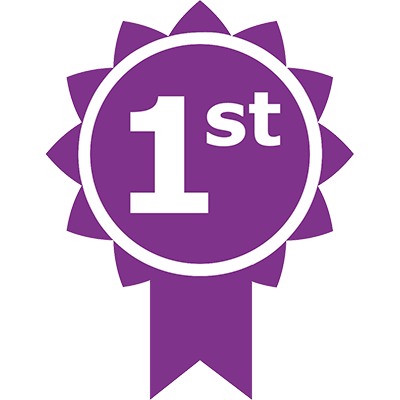 We had a fantastic response to the competition with nearly 1,000 entries. Our esteemed panel of judges included Fiona Shields (Head of Pictures at The Guardian), Professor Iain Stewart (BBC presenter and lecturer at the University of Plymouth) and NERC's Ned Garnett (Associate Director of Research). To make the shortlist, images were judged on their originality, visual appeal, their description and how they captured the impact of environmental science on the photographer. "I took this picture on a family visit to Chester Zoo. Zoos are a vital place of conservation and education, not only do they nurture endangered species but inform our generation of the importance of these creatures. This species of chimp is critically endangered. 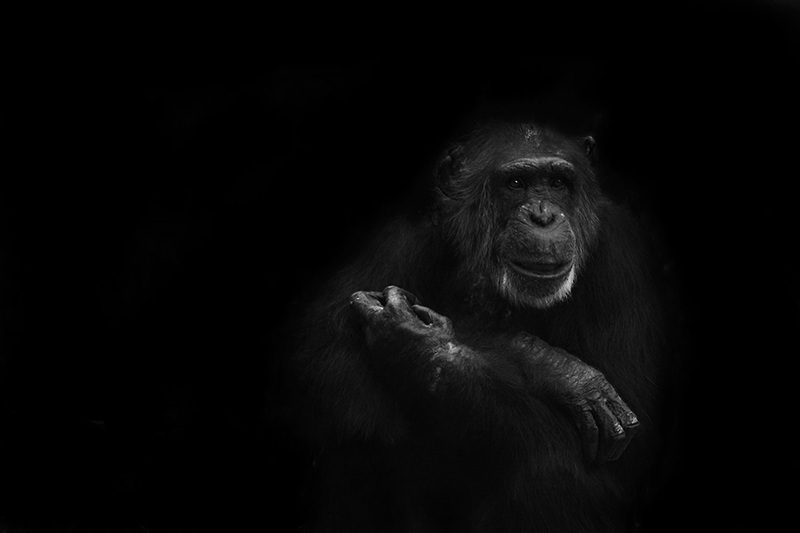 I have depicted the chimp suppressed in a dark environment, a symbol of the pressure our selfish industry places on animals. I have darkened the areas around the monkey using Photoshop and reduced the saturation to help the picture symbolise human suppression on the environment." "Our everyday decisions impact not only our local environment but those distant from us, in this case the watery home of the puffin. 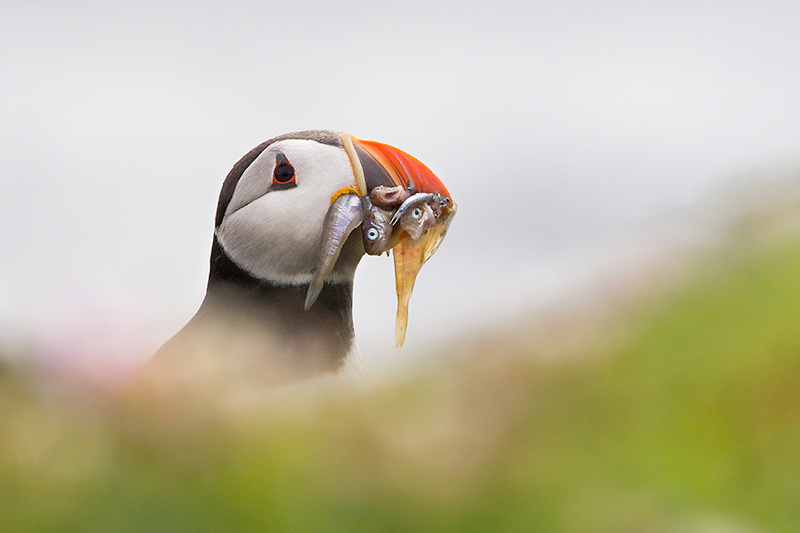 These human decisions are depleting sand eel availability and changing the fish species on the puffin's menu day in, day out, an impact all too plain to see whilst I spent several weeks out on the Isle of May this summer." 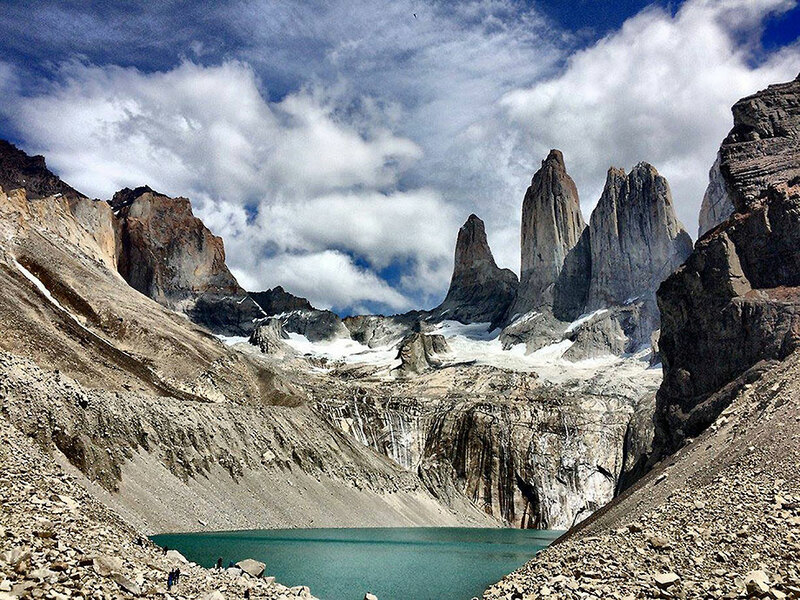 "This photo is of Torres del Paine National Park, part of the Andes mountain range in Southern Chile. The three granite towers, the highest peak being 2,884m, are iconic remnants of a ~13million year old laccolith (a magmatic intrusion between sedimentary layers which has cooled and solidified slowly). The site was declared a Biosphere Reserve by UNESCO, yet despite this, the park is under increasing pressure from modern day threats, such as rapidly increasing tourism and climate change." "Even unwanted things in the garden can be inspiringly beautiful and eerie when viewed from the right angle." "I believe this image captures my environment because it shows the new industrial and modern era whilst also portraying mother nature. The sunset represents the beauty of nature and this photo has absolutely no filters which shows that nature can be absolutely beautiful. However in the middle of this photo the wind turbines show the man-made and science side of our environment." "I was delighted to find slowworms on my then new property four years ago. This prime female in my organic compost heap shows that they continue to thrive - despite a cat's presence on their patch." 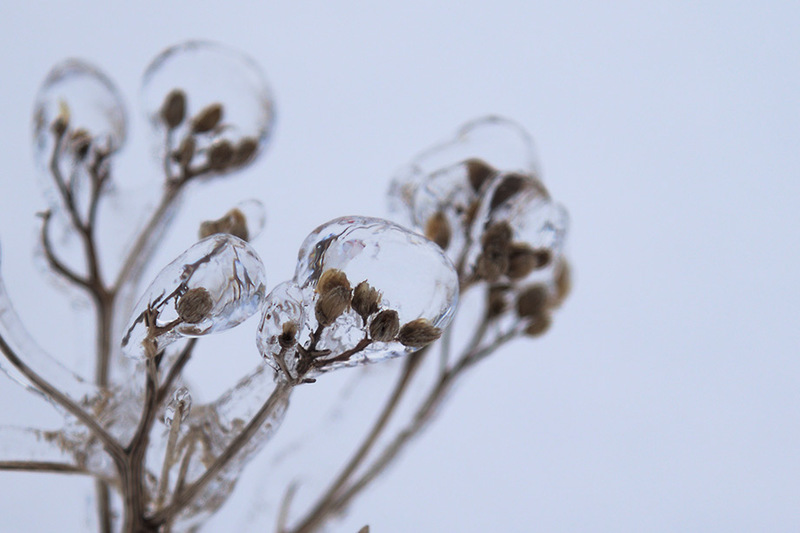 "A burst of freezing rain coated these seed heads in a layer of crystal clear ice. Such weather is highly unusual where these flowers grow, but we can expect more extremes of weather as our climate changes. 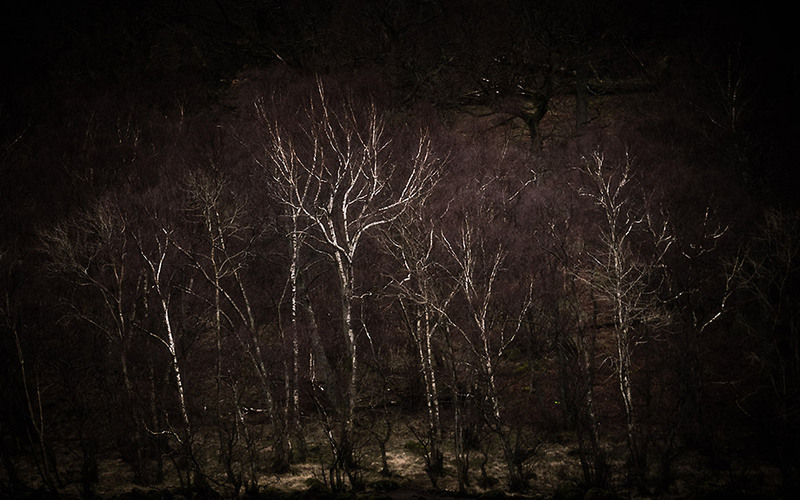 "Even in the worst weather there is beauty in the stark landscape around us. Birch trees clinging to the side of a glacial finger lake shone through the rain as we surveyed the lake during research into glacial processes." 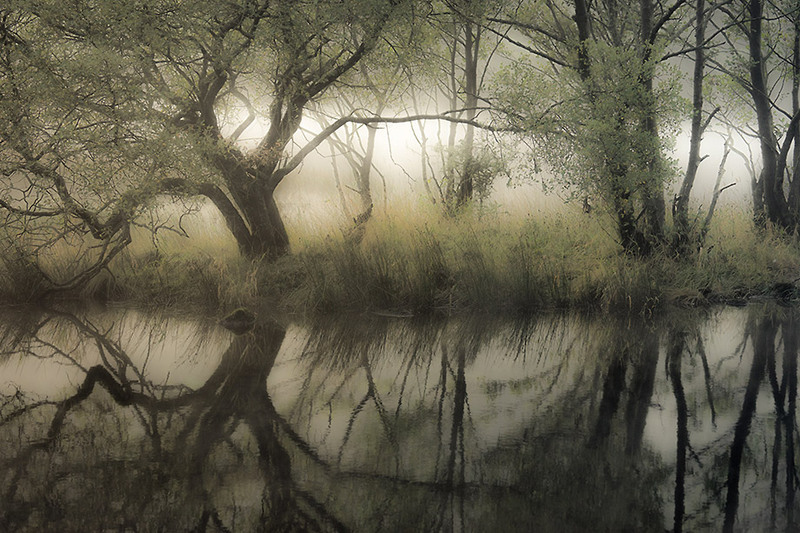 "The countryside around us is magical and ethereal, especially when wreathed in mist. This image was taken in my field area of the Lake District, where myself and three PhD students have been looking at the evolution of the landscape, and its shaping by ice, water and then man." NERC-funded scientists are on a mission to rescue two million pieces of 'lost' weather data gathered more than 100 years ago by intrepid volunteers on Britain's highest mountain. But they need your help. For more than 20 years, a team of Victorian meteorologists stationed on Ben Nevis recorded eight pieces of information about the weather every hour, day and night, 365 days a year. 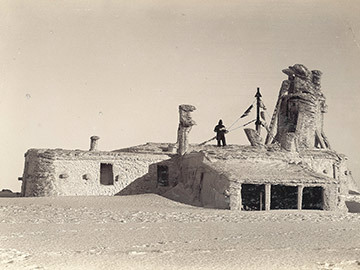 Now known as the 'Weathermen of Ben Nevis', they measured temperature, pressure, rainfall, sunshine, cloudiness, wind strength and wind direction from 1883 and 1904. Hourly data was also taken at sea level at nearby Fort William. All this information was compiled in five hefty volumes published by the Royal Society of Edinburgh between 1890 and 1910. Today, researchers are asking for people in Scotland to help 'digitise' the data. From the original tables, the public can type the information into a growing database. Unearthing this data will shed light on how our climate is changing, bringing the past back to life to help understand the weather today and in the future. And the clock is ticking. Operation Weather Rescue: Ben Nevis is taking place in the run-up to UnEarthed. If all two million data points are logged in time, we will present all the information in a fun and exciting way to display at the event, bringing the weather on Ben Nevis back to life for all who have taken part and many more. Join our mission and take part today by digitising 'lost' data at Zooniverse - external link - and follow the instructions on the tutorial. And learn more at the Operation Weather Rescue: Ben Nevis exhibit at UnEarthed. Tweet about your involvement using #UnEarthed2017 - external link - and #WeatherRescue - external link. The project is led by climate scientist Professor Ed Hawkins, of the National Centre for Atmospheric Science and the University of Reading, and supported by Marjory Roy, former Superintendent of Met Office Edinburgh and author of The Weathermen of Ben Nevis, a fascinating insight into the work and lives of those who gave their time on the top of the mountain. 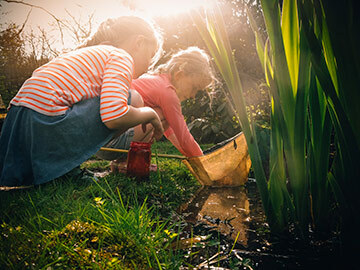 If you fancy getting involved in more environmental science, check out all of the 'citizen science' projects available on the activities for the public and schools - external link - page of the NERC website. You probably know all about things that make our air bad - like cars, planes, burning fuels... Now come and find out about what people are doing to make it better! We fund amazing science to understand what effects bad air has on people and the planet, what causes it and what we can do about it. "At least £1·2 billion a year"
Our land gives us food and water, energy, minerals, and even helps us feel good. But, as the number of people grows in the UK and around the world, we're using up these supplies more quickly. 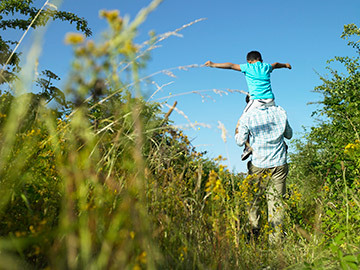 Researchers are finding out how we can make the most of them and secure them for the future. That's good news for people and good news for the mindboggling number of other species we're connected to in everyday life! 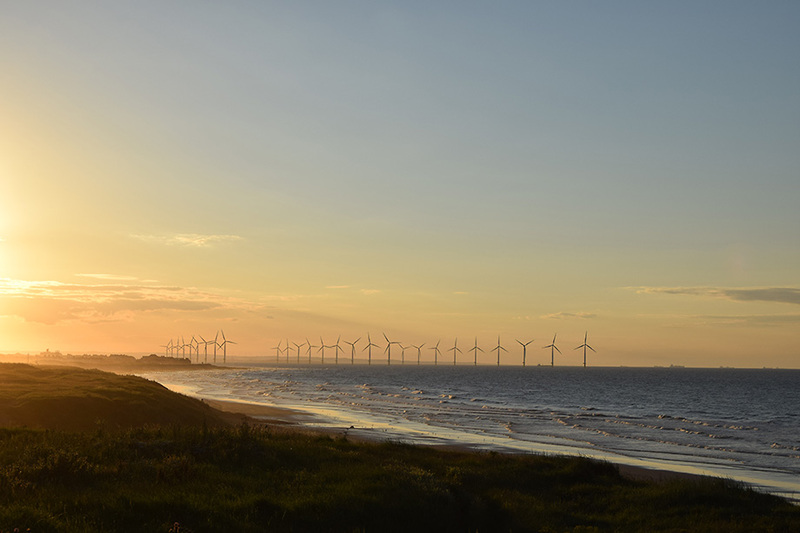 "NERC researchers have developed software that allows companies to work with farmers to reduce the climate impact of food supply chains"
Where should you build a windfarm? 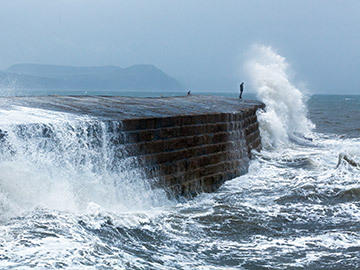 Could we get round-the-clock energy from waves and tides? Is it possible for the country to make more money and be cleaner at the same time? Meet the people working hard to answer these questions and more, to make sure we have enough energy to keep the lights on and the wheels turning. 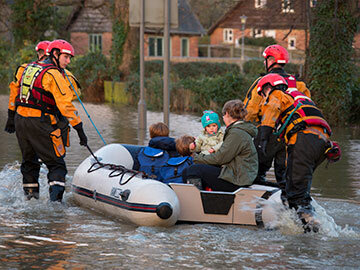 "Development of a gigawatt of wind energy capacity in Eskdalemuir, Scotland will go ahead after NERC science showed it posed no threat to human health or to a nearby Ministry of Defence installation"
Did you know that what people do affects how much it rains? And the way we build our cities and the way we farm our land affects how much it floods. Global warming can make our lakes and rivers happy homes for poisonous algal blooms and unhappy for native fish and plants. Come and find out about the latest work to protect and get the best out of our most vital natural resource. 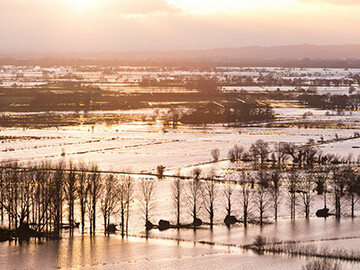 "NERC science helps to provide a sufficient and secure supply of water in a changing and challenging environment"
The Natural Environment Research Council (NERC) funds the best environmental research in the world. What our scientists find out helps people make decisions about how to live in our changing world. 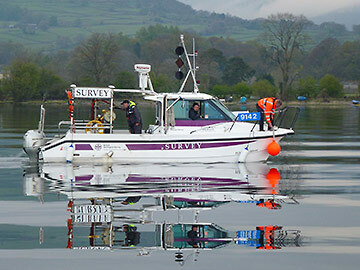 The British Geological Survey (BGS) - a part of NERC - develops the nation's understanding of its geology and keeps amazing records of the subsurface to improve policymaking, enhance national wealth and reduce risk. 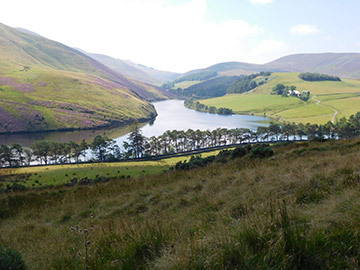 The Centre for Ecology & Hydrology (CEH) - a part of NERC - is a world-class research organisation that looks at land and freshwater ecosystems and how they interact with the atmosphere. For general enquiries, email us at unearthed@nerc.ac.uk. For media enquiries, please contact pressoffice@nerc.ac.uk.